Spring has sprung and everyone is having babies! (not me....don't go starting any rumors.) Burp cloths are a useful and simple gift to give a new mom! I made these dinosaur themed burp cloths to sell at Doodlebop's upcoming school fair. They came out so soft! I used a new kind of minky this time because they were out of the swirly minky I use to sell my burp cloths in my Etsy store. 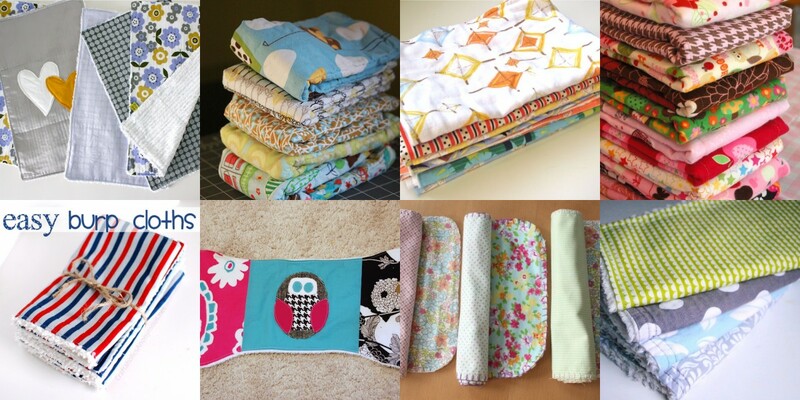 Since I do sell these online, I'm gonna hold on to my pattern, but here's round up of other people's burp cloth tutorials for you to enjoy!